Fire Safety Rocks: Tango the Fire Safety Dog on KARK4! Thank you to our friends at KARK4 in Little Rock for sharing Tango the Fire Safety Dog's nomination for the American Humane Association's Hero Dog Awards! 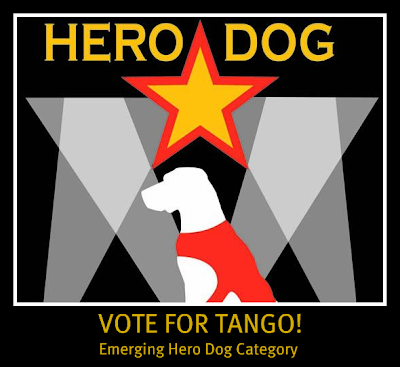 Vote for Tango TODAY! Click on the Hero Dog button below to vote! You can vote once every 24 hours!